Ever wondered if bogs mean more than soggy feet? Wetlands are the sponges and filters of the biosphere. Water just runs in rivers and creeks, right? Nope! Waterways are like a network of blood vessels for the landscape. Getting to our rivers and lakes can seem a little hard at times. The Waiau Trust is working hard to make it easy. 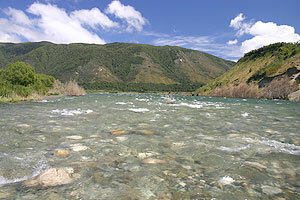 The Waiau Fisheries and Wildlife Habitat Enhancement Trust has been operating in the Waiau Catchment in Southland New Zealand since 1997. For more on our history read on to find out all about the Waiau Trust. Our principal reason for existance is to enhance stream and wetland habitats for fisheries and wildlife. We also provide public access to such habitats, for both recreational and educational purposes. We have some other Trust objectives as well. The Trust has completed over 130 stream and wetland habitat enhancement projects and 12 public access projects. The location and type of project is shown on the map. We take an "Ecosystem Approach" to our habitat enhancement work. Projects within small catchments are linked to each other, with the aim of protecting streams and wetlands along the whole length of each small catchment. This has positive benefits for fisheries and wildlife as well as water quality . If you are a visitor to Southland or a resident wishing to visit some of our projects you will be interested in finding out more here. 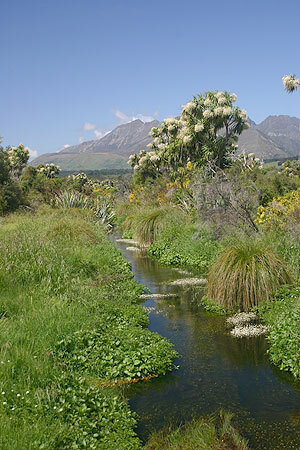 Are you a landowner in the Waiau Catchment, with a wetland or stream you wish to enhance and protect? Read on to find out how the Waiau Trust work with you as a landowner. We hope you find this website informative and helpful. We welcome all enquires about our work - feel free to contact the Waiau Trust. The Waiau Wildlife Habitat Enhancement Trust is an independant organisation dedicated to enhancing the biodiversity of the Waiau catchment. We work closely with landowners to improve aquatic habitats on their property, which also improves water quality. Wetlands, waterways and access to them is key to ensuring that the whole water network of the Waiau is protected, improved and kept as beneficial to all as possible. With nearly 90% of New Zealand's wetlands drained, diverted or simply gone, and many waterways significantly modified, each and every water body is special and must be cared for.